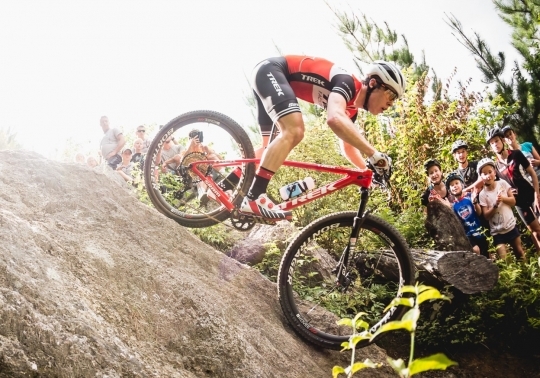 The Trek Factory Racing professional claimed his fourth straight Oceania mountain bike cross-country title at Bright, in the Alpine National Park in Victoria, Australia to match his national title last month in Rotorua. Cooper will now return home to complete final preparations ahead the start of his UCI World Cup campaign in Germany next month. Cooper rode the first of five laps with fellow countryman Ben Oliver, before clearing out to win comfortably in 1hr 43mins 46secs. Oliver, who will also head to Europe for the season, was a minute back in second ahead of Australian Cameron Ivory. "It was good and I am really happy. I felt quite good actually, a lot better than at Nationals,” said Cooper. “I had a bit of a cold there, and it was one of the hardest races I have ever done probably. This one just felt fresh from the start and the second lap I felt really good and just able to keep a consistent pace the whole race." "There is nothing really hard on the course but there is a lot of sections which could catch you out or you could puncture."